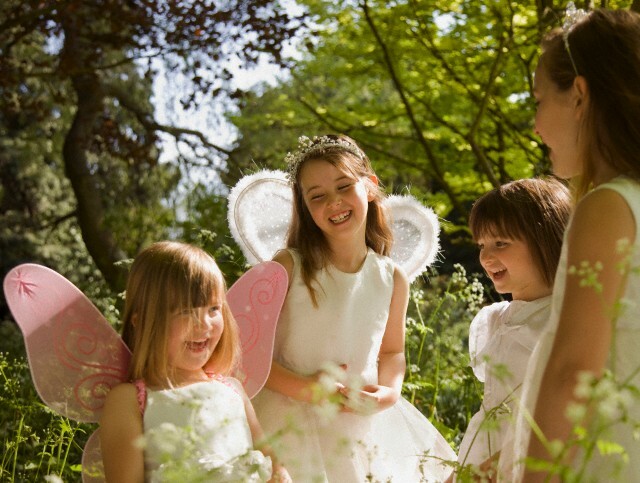 Do you want to throw a magical fairy party for your daughter but unsure about where to begin? Well, you’re in the right place! We have listed down some fairy decoration and food ideas that will definitely make your party a whimsical one. Read on, get inspired, and sprinkle your celebration with pixie dust – your party is gonna be a memorable one! Use a palette with soft, pastel colors like pink, yellow, light green, light blue, and lavender. Having the birthday party at night? Decorate the place with Christmas lights to make the place more mystical. Put up a canopy above the party table. It would look better if it starts at a centerpoint (e.g. ceiling, chandelier, tree branch) and goes out to the sides of the room. Hand out a pair of fairy wings and a want to each children upon arrival. Set up a Crown Station. Include ribbons, gartered headbands that can be used as a crown, and pretty flower pins. The fairies could go there and create their own personalized fairy crown. Paper flowers can really make your party more magical. Tie them at the back of the chairs, hang them on the walls or trees, and lay them on the party table. Distribute small containers with a bubble mixture to the kids. Have them blow bubbles. You can also hire or purchase a bubble maker to help you out. Make bite-sized sandwiches. Cut them out with a star-shaped cookie cutter. Serve cupcakes or cake pops with edible glitter. Edible magic wands will surely be a hit! Dip a pretzel rod in melted chocolate, then dip it in candy sprinkles before it dries out. You can never go wrong with pink lemonade. It’ll be more colorful if you serve both pink and yellow lemonade. Label it Morning Dew or Pixie Punch. Order pizza! Call your local pizza and request for them to slice the pizza in heart or star shapes. Serve jellybeans and call them Enchanted Beans. Add more magic to your party by hiring a fairy! 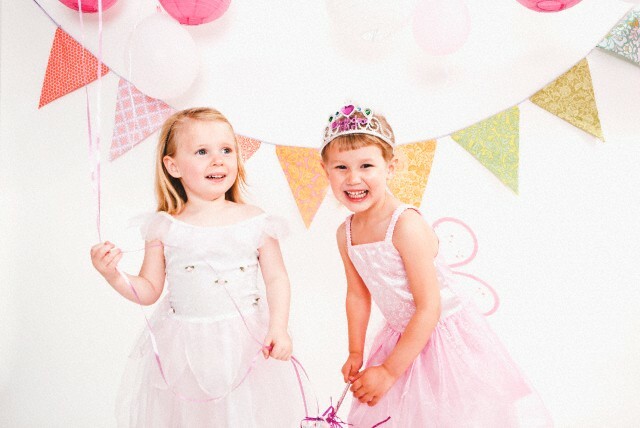 Yabadoo Kids Parties’ has enchanting fairies that could spellbind your guests with comedy and and silly antics. Talk to us today and tell us about how we can make your party magical!